A blue sunny sky and flat sea made for ideal diving today! Vis unfortunately is still a little basic however there was so much to see! Cleaner Station and Shark Gutters were full of life! 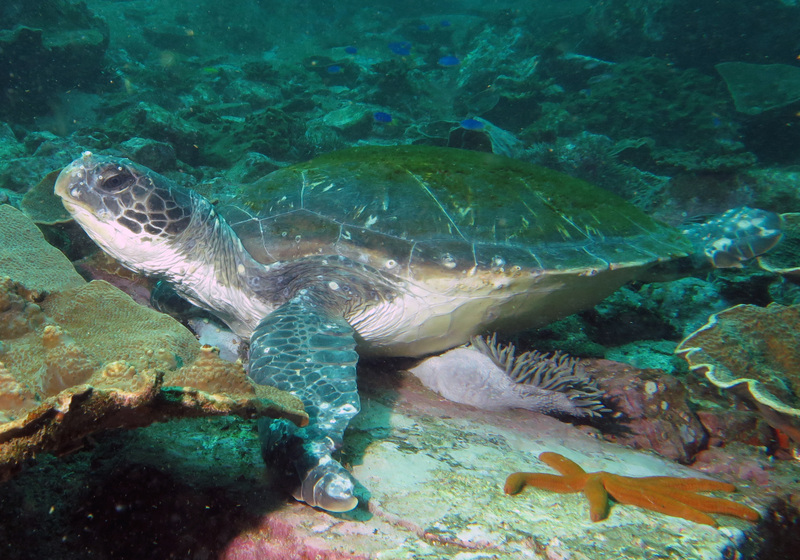 Grey Nurse Sharks, Black Cod, Lionfish and Turtles were spotted on dive one. Dive two was spent enjoying the life along the Boulder Wall. Lots of schooling Tarwhine, Surgeon fish, Goat fish and Sweep plus Wobbegongs and Nudibranches were spotted by our divers.